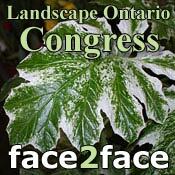 If you are a gardener and are new to Toronto this is the show you must attend. 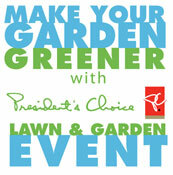 At no other garden show in the GTA will you find so many of your resources presented to you. 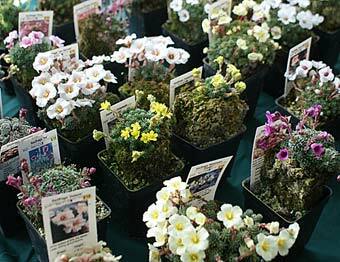 Here is where you find almost all of the local Horticultural Societies. 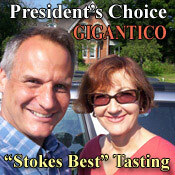 This is the perfect opportunity for networking. 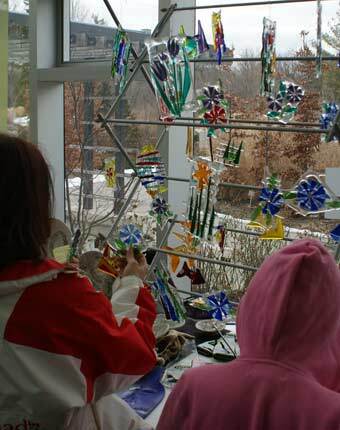 It will also give you the opportunity to meet the people who know all the best places to find the most beautiful and unusual plant material. 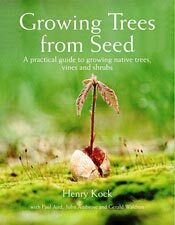 If you want to learn how to grow those plants well, the best thing to do is to join a society. Get A Jump On Spring also gives you the opportunity to do a little shopping. 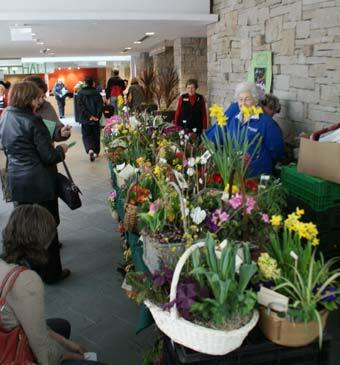 Below you can see the beautiful floral fundraising baskets that the Greenthumbs volunteers for Sunnybrook Health Science Centre put together for the show. All of the baskets will be sold before the day is over. 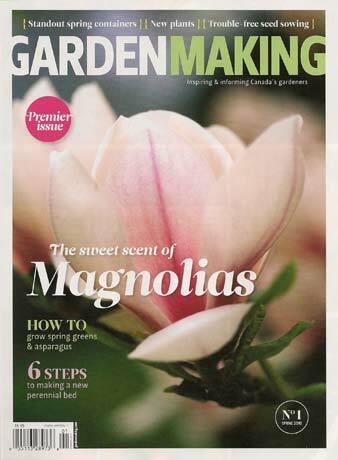 One of the special entries in the commercial area this year was GARDEN MAKING Magazine. 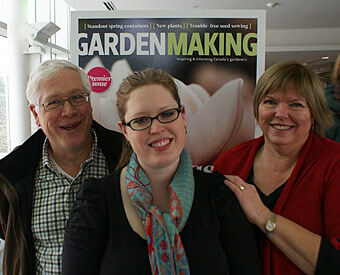 GARDEN MAKING Magazine is published by Michael, Katherine and Beckie Fox (seen below) of Niagara On The Lake, Ontario. The decline of the gardening magazine in the last few years has been pretty spectacular, mainly because of the economic crash but also, I feel, because a lot of these magazines have lost their way. 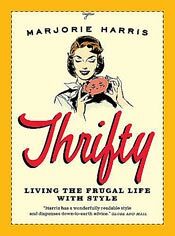 Many of these magazines have changed their focus from plant cultivation to back yard decoration. They became more about the garden furniture and less about the horticulture. 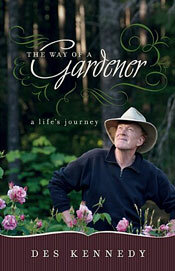 GARDEN MAKING is all about gardening, and has none of the clutter of the lifestyle content. 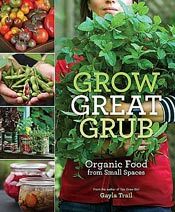 (Don't you hate it when you open a gardening magazine and find it hard to locate the garden content because of all the ads and articles about junk you don't want?) 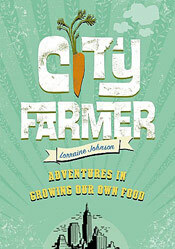 I think GARDEN MAKING is going to have a very devoted following. That's good because, though I haven't known them long, the Foxes seem like really nice people. 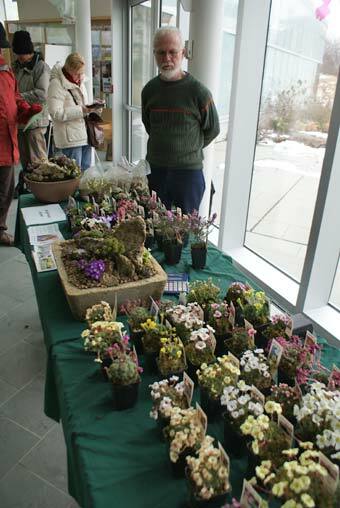 Harvey Wrightman (below) of Wrightman Alpines was also there selling alpine plants. Now here are some gems you wouldn't find at the local nursery or hardware store. Even though the outside may be grey, you can still bring some colour into your life. 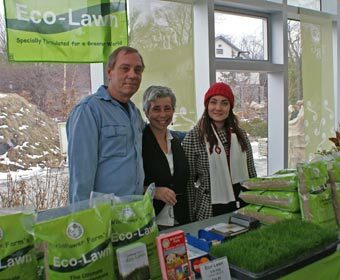 Paul Jenkins, Miriam Golderger and their daughter Nora were at the show to promote their Eco-Lawn seed. The grass grows lower than regular turf so requires far less mowing. It's less work and better for the environment. 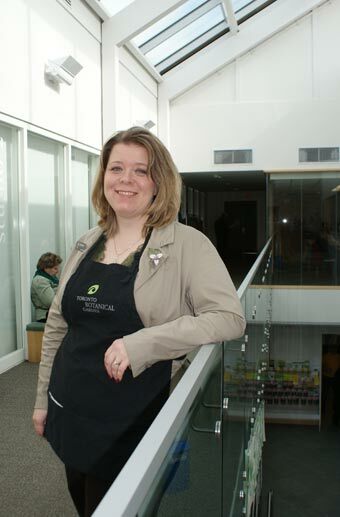 Because there were multiple lectures going on at the same time a team of friendly volunteers, including Jennifer Arnott (below), was needed to help visitors find the one that they were most interested in. 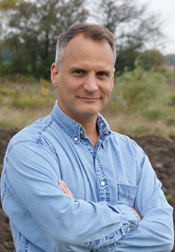 One of the lecturers was Dugald Cameron of Gardenimport. 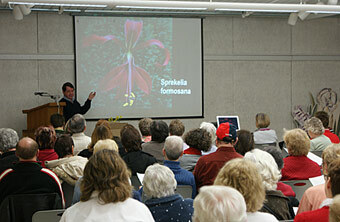 He gave a lecture about the variety of summer bulbs that are available for the gardener to try. 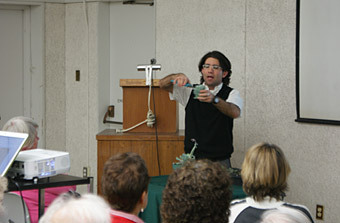 Paul Zammit, Director of Horticulture for the Toronto Botanical Garden, took a great deal of pleasure in chopping an Echeveria into bits in order to demonstrate how it is best propagated. 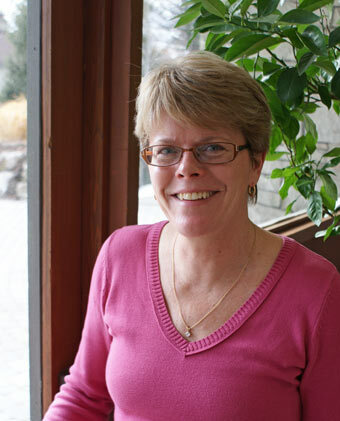 Charlie Dobbin (below) spoke about Canada Blooms and the monumental task of forcing all of the trees, shrubs and flowers for the show. 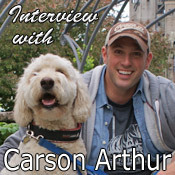 You can hear Charlie's garden radio show plus many others through gardenradio.ca every Saturday. 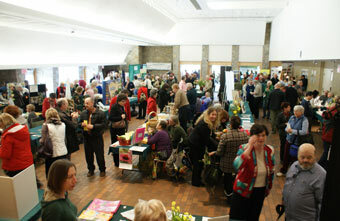 The Floral Hall, which held all the horticultural societies, was a beehive of activity. 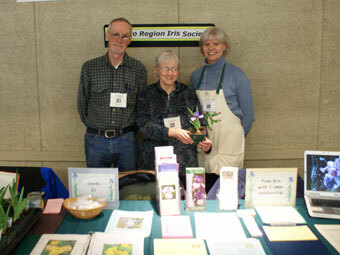 I ran into my friends from The Toronto Region Iris Society, Terry Laurin, Lyn Hickey, and Kate Brewitt. 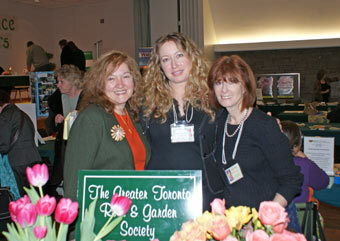 The Greater Toronto Rose & Garden Society was represented by Voula Iascone, Shari-Lyn Safir, and Iris Hazen. 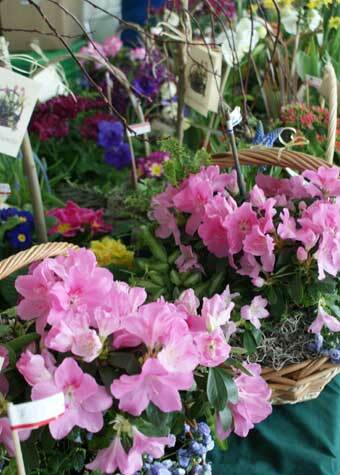 Both the Iris and Rose societies have flower shows that shouldn't be missed.